Big Oil and refiners continue to outperform. Global bond yields powered higher again this week on better than expected economic data from developed economies. US 2-year yields almost touched 2% for the first time since 2008. Long term yields also moved higher, steepening the yield curve. Strong economic data south of the border failed to prop up the US dollar, falling another 1% this week, the fifth consecutive weekly decline. Concerns over lack of progress in NAFTA negotiations continues to drag on Canadian bond yields and the loonie. The Bank of Canada is set to decide on interest rates next week, with most economists expecting a rate hike of 25 basis points. The Bank of Japan has begun reducing its government bond purchases, and hinted it may also begin scaling back its massive monetary stimulus program. The news boosted the yen almost 2% this week. The Euro also gained 1.4%, touching 3-year highs. Oil prices continue their upward trajectory, with Brent almost touching US$70 for the first time since the end of 2014. The Brent futures curve remains firmly in backwardation. The WTI discount to Brent has narrowed slightly to US$5.50 a barrel, while backwardation on the WTI futures curve also steepened this week. The discounts on Canadian crude have rebounded from the lows of late last year. The discount for Canadian Light narrowed to about US$6.60 by the end of the week, down from a high of almost US$9 a barrel in late December. The heavy oil discount narrowed to below US$25/barrel on Friday from a high of US$26.75. The US Energy Information Administration (EIA) revised its forecast for oil prices next year. Brent spot prices are now expected to average US$60 a barrel in 2018, rising to US$61 in 2019. The forecast for WTI has also been revised higher to US$58 a barrel. Continued cold weather has helped push natural gas prices higher this week, with Henry Hub gaining almost 15% and now firmly above US$3/MMBtu, while Alberta's AECO gas prices gained 16% to US$1.50/MMBtu. Weather disruptions put a dent in US crude oil production last week, declining 290,000 bbl/day to 9.5 million bbl/day. Crude inventories continue to fall at the expense of product stockpiles, which have been rising steadily since early November. The EIA revised its forecast for 2018 US crude oil production to 10.27 million bbl/day, up from a previous forecast of 10.02 million bbl/day. The EIA estimates US production will top 11 million bbl/day by the end of 2019, surpassing output from Russia and Saudi Arabia. US natural gas inventories declined 359 Bcf last week, the eight consecutive weekly drawdown and the largest weekly decline in the past five years. The EIA says it expects natural gas production to rise from an average of 73.5 Bcf/day last year, to 80.4 Bcf/day in 2018 and 83.0 Bcf/day in 2019. After flatlining for the past few weeks, the number of oil rigs in service jumped again this week, adding 10 in the US, to a total of 752, and a whopping 87 in Canada, to 185. GEOPOLITICS — NEUTRAL President Trump has agreed to waive nuclear sanctions against Iran for the last time, but has threatened to renew sanctions unless "flaws" in the 2015 deal are dealt with. USD INDEX ▲ BULLISH Despite positive economic data south of the border, the US dollar failed to rally this week, breaking below a key support level and now back to the lows of late 2014. SUPPLY — NEUTRAL OPEC and Russia have agreed to discuss if/when to begin unwinding production cuts at their next meeting in Oman on January 21, 2018. Russia says the market surplus is decreasing, but not yet balanced. DEMAND — NEUTRAL No new news on the demand front this week. Both OPEC and the IEA are set to release their January forecasts next week. SENTIMENT ▲ BULLISH Traders remain decidedly bullish, with total net longs in Brent and WTI topping 1 billion barrels. Record long positions are also building in heating oil and distillate futures. Brent touched the psychological US$70 mark late this week, for the first time since the end of 2014. US equity markets remain on fire this week, with the S&P 500, NASDAQ and Dow Jones Industrial Averages beginning to exhibit parabolic moves to the upside. Asian markets, including China and emerging markets, ending the week in the green. Higher commodity prices helped push the FTSE to new highs. European markets were mixed, held back by a stronger Euro. The TSX was also a lagger this week, with most large dividend players ending the week in the red. US markets were decidedly offensive this week, with only staples and utilities sectors posting declines. Commodity players were the only sector in the green on the TSX, specifically energy and materials. The US energy sector hit a 52-week high this week, with several large caps now reaching new 52-week highs. Global oil majors and refiners remain the best performing subsectors. Canadian energy stocks continue to underperform US counterparts, held back by losses in the TSX midstream space. Encana (ECA) says it expects to "deliver a strong finish to 2017," and anticipates 25% to 35% production growth from its core assets year-over-year. The company expects 2018 spending to be roughly unchanged from last year, with about 70% dedicated to its Permian and Montney plays. Tourmaline Oil Corp (TOU) says it exited 2017 at about 274,000 boe/day, a 30% growth rate from the previous year. The company says it plans to grow another 10% this year and has left its 5-year plan guidance unchanged for now. Peyto Exploration (PEY) has cut its 2018 capital budget in half, to a range of $200 to $250 million. The monthly dividend will also be reduced from $0.11 to $0.06 a share. After being out of service for three months due to a platform fire, Enbridge's (ENB) 1 Bcf/day Garden Banks gas pipeline in the Gulf of Mexico is expected to restart sometime in February. Camp-operator Horizon North Logistics (HNL) completed its acquisition of the Moose Haven Lodge this week, located 120 km south of Fort McMurray near the hamlet of Janvier, Alberta. Credit Suisse’s "Top Investment Ideas in Canada" list now includes Suncor Energy (SU), replacing Imperial Oil (IMO) as the top integrated name, as well as Encana (ECA) and Enerplus (ERF). Analysts at Desjardins Securities also released their top picks this week, which include Canadian Natural Resources (CNQ), Enerplus (ERF), Tamarack Valley Energy (TVE) and Pembina Pipeline (PPL) in the energy and midstream space. New 52-week highs on the TSX include Enerplus (ERF), Husky Energy (HSE), Parex Resources (PXT) and Suncor Energy (SU). New 52-week lows include Advantage Oil & Gas (AAV), Birchcliff Energy (BIR), Crew Energy (CR), Peyto Exploration & Development (PEY) and TransCanada (TRP). Jacobs Engineering (JEC) has been selected by BP to provide EPCM services for Phase 2 of the Khazzan Project in Oman. The three-year contract includes support for ongoing expansion of the gas gathering system, wellsite facilities and export pipelines. Commercial terms of the deal were not disclosed. 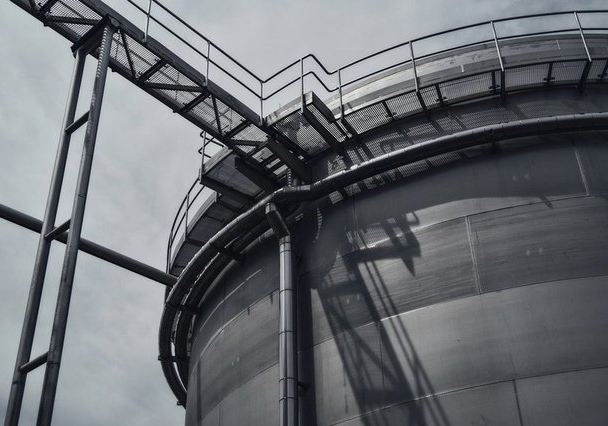 Several major US pipeline operators are asking US federal regulators to reject Magellan Midstream Partners' (MMP) request for a new hearing on its attempts to establish a crude marketing arm. FERC denied Magellan's request last year, expressing concerns that the company would be "offering capacity below cost" in order to remain competitive. Sunoco (SUN) announced plans to sell US$1.75 billion in senior notes maturing in 2023, 2026 and 2028. Net proceeds from the deal will be used to redeem existing notes and pay down debt. BP (BP) has settled a lawsuit in the State of California for US$102 million, claiming the company had overcharged for natural gas. The company denies any wrongdoing. Royal Dutch Shell (RDS.A) CEO Ben van Beurden told the Financial Times this week that growth over the next 10 years "will depend on shale production." The company says it will likely keep investing in shale in hopes of quick growth. The Iraqi government has approved Royal Dutch Shell's (RDS.A) sale of the company’s 20% stake in the West Qurna 1 oilfield to Japan’s Itochu Corp. The oil field is operated by Exxon Mobil (XOM) and currently produces about 405,000 bbl/day. South Africa’s Competition Commission recommends approval of Chevron's (CVX) plans to sell US$900 million in assets to Sinopec, favouring the Asian refiner over Glencore. The sale would include a 75% stake in Chevron’s South African subsidiary, including a 100,000 bbl/day oil refinery in Cape Town and 820 retail gas stations. A final decision is expected sometime in the spring. According to Reuters, BP (BP), Royal Dutch Shell (RDS.A) and Goldman Sachs (GS) are among the companies bidding to fill India's strategic petroleum reserves, with capacity estimated at 18.4 million barrels. New 52-week highs on the S&P 500 this week include Andeaver (ANDV), Chevron (CVX), Concho Resources (CXO), ConocoPhillips (COP), EOG Resources (EOG), ExxonMobil (XOM), Marathon Oil (MRO), Marathon Petroleum (MPC), Occidental Petroleum (OXY), Phillips 66 (PSX), Williams Companies (WMB) and Valero Energy (VLO). Several global oil majors also hit new highs in the NYSE this week, including ADRs for BP (BP), Royal Dutch Shell (RDS.A), Statoil (STO) and Total (TOT). Chevron (NYSE:CVX): Upgraded from Market Perform to Outperform at BMO. Encana (TSX:ECA): Upgraded from Hold to Buy at Desjardins. Hess Midstream Partners (NYSE:HESM): Upgraded from Market Perform to Outperform at Wells Fargo & Co.
Kosmos Energy (NYSE:KOS): Upgraded from Neutral to Outperform at Credit Suisse. Noble Energy (NYSE:NBL): Upgraded from Equal Weight to Overweight at Capital One Financial. Nuvista Energy (TSX:NVA): Upgraded from Market Perform to Outperform at BMO. ONEOK (NYSE:OKE): Upgraded from Market Perform to Outperform at Wells Fargo & Co.
Paramount Resources (TSX:POU): Upgraded from Market Perform to Outperform at BMO. Patterson-UTI Energy (NASDAQ:PTEN): Upgraded from Sector Perform to Sector Outperform at Scotiabank. PetroChina (NYSE:PTR): Upgraded from Sell to Buy at Citigroup. Peyto Exploration (TSX:PEY): Upgraded from Market Perform to Outperform at BMO. Statoil (NYSE:STO): Upgraded from Underperform to Neutral at Macquarie. Tamarack Valley Energy (NYSE:TVE): Upgraded from Hold to Buy at Canaccord Genuity. TransCanada (TSX:TRP): Upgraded from Equal Weight to Overweight at Morgan Stanley. Birchcliff Energy (TSX:BIR): Downgraded from Outperform to Market Perform at BMO. Bonavista Energy (TSX:BNP): Downgraded from Buy to Hold at Desjardins. BP Midstream Partners (NYSE:BPMP): Downgraded from Buy to Neutral at Citigroup. Cenovus Energy (TSX:CVE): Downgraded from Buy to Hold at Desjardins. CNOOC (NYSE:CEO): Downgraded from Outperform to Neutral at Macquarie. Devon Energy (NYSE:DVN): Downgraded from Overweight to Equal Weight at Capital One Financial. Enbridge Energy Partners (NYSE:EEP): Downgraded from Equal Weight to Underweight at Morgan Stanley. Kinder Morgan (NYSE:KMI): Downgraded from Outperform to Market Perform at Wells Fargo. Nuvista Energy (TSX:NVA): Downgraded from Outperform to Sector Perform at National Bank and from Market Perform to Outperform at BMO. Phillips 66 Partners (NYSE:PSXP): Downgraded from Overweight to Equal Weight at Morgan Stanley. Superior Energy Services (NYSE:SPN): Downgraded from Sector Outperform to Sector Perform at Howard Weil. Trican Well Service (TSX:TCW): Downgraded from Outperform to Strong Buy at Raymond James.